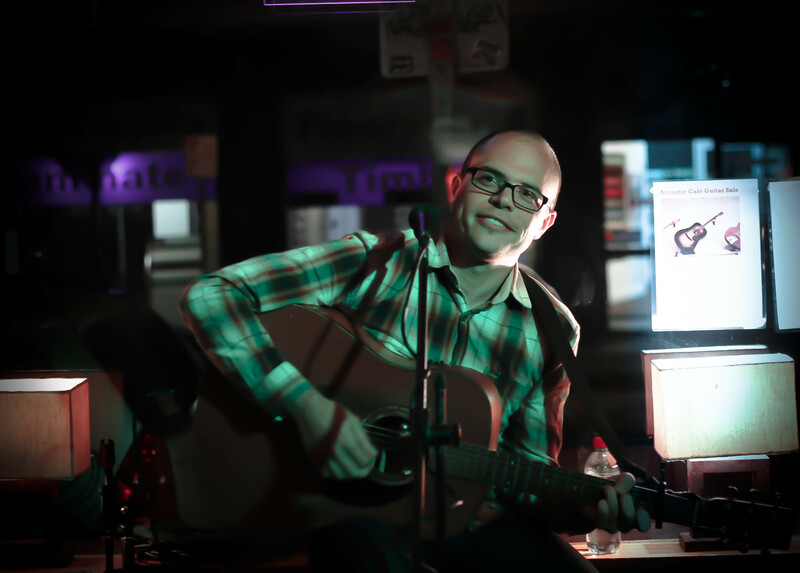 Playing his first Open Mic in Melbourne, this English musician’s fantastic voice and catchy originals made a real impression on the audience and myself (example: he gave me a copy of his EP and I have been listening to it on repeat!). Playing music for over 14 years, Charlie’s originals fall into the category of Alternative Acoustic/Folk. I was impressed to hear that for a past album Charlie was flown to the US to record it and had the privilege of playing alongside members of some well renowned bands such as Red Hot Chili Peppers, R.E.M, Beck, etc. Whilst he regrets not staying in the US longer to support his album’s release with several live performances, it was an amazing experience for him. Truly a rare lifetime opportunity! Tagged acoustic, Acoustic Cafe, alternative, Beck, Charlie Calleja, EP, folk, guitar, live, Melbourne, music, open mic, R.E.M, RHCP, solo.